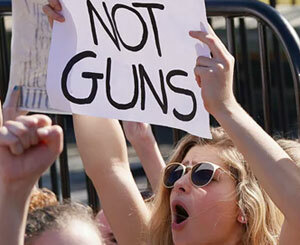 Amid planned walkouts nationwide by high school students in February, the superintendent for the Needville (Texas) Independent School District threatened three days of suspension for students who participated in such a protest. “Every choice has a consequence whether it be positive or negative. We will discipline no matter if it is one, fifty, or five hundred students involved,” Curtis Rhodes said. No suspensions have been reported. But the superintendent’s position raises the question, do students have First Amendment rights? Through a series of cases over the past several decades, the U.S. Supreme Court has issued numerous decisions regarding the First Amendment rights of public school students involving protests, student-produced media and religion. In some cases, the decisions seem conflicting. With the rise of civil rights protests in the 1960s, federal courts began chipping away at the restrictions for college students. After Tennessee Agricultural and Industrial State University suspended students for participating in the Mississippi freedom rides, a federal court in Tennessee reversed that action. In one of many other cases during that era, the University of Wisconsin, Oshkosh, suspended seven African-American students for participating in a demonstration at the university president’s office. A federal court invalidated the disciplinary action on due process grounds. In Tinker, the Supreme Court provided a caveat that free-speech actions cannot materially disrupt classwork nor substantially invade the rights of others. That approach helped form the opinion in 1986 in Bethel School District v. Fraser, when the court ruled that a school was not violating a student’s free-speech right when it suspended him for the use of crude language in a speech to a school assembly. “The determination of what manner of speech in the classroom or in school assembly is inappropriate properly rests with the school board,” Chief Justice Warren Burger said in the 7-2 opinion. High school press freedoms, however, are far more restricted. In 1988 in Hazelwood School District v. Kuhlmeier, the U.S. Supreme Court allowed public high school officials to censor school-sponsored student publications if school officials can demonstrate some reasonable educational justification. The court’s decision, still debated in media circles, essentially determined that the school newspaper was an educational tool rather than a public forum. The courts have also said students are entitled to practice religion in public school although the school itself, as an extension of the state, must remain neutral. In the early 1960s, the court struck down school-led prayer and Bible readings in two significant cases. But in 1993, the U.S. Supreme Court ruled that public school systems that open their schools to community groups after hours must also permit religious groups to use the buildings on the same terms. The 9-0 decision in a case from Long Island effectively overturned a New York state law that had long been interpreted as barring the use of school property for any religious purpose. While the concept of in loco parentis continues today, it is significantly less restrictive than in the past. In New Jersey v. TLO, a 1985 Fourth Amendment case dealing with reasonable searches and seizures, the U.S. Supreme Court said students have a legitimate expectation of privacy when at public schools. But the 6-3 decision upheld warrantless searches of students if they were reasonable, not excessively intrusive and related to the offense investigated.